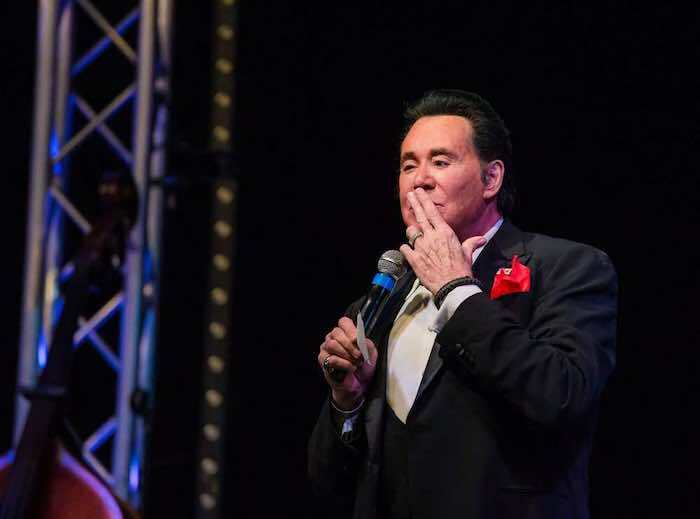 Wayne Newton: Up Close and Personal concert in Las Vegas is truly a masterpiece and a one-of-a-kind performance by the man known as Mr. Las Vegas. Over the years Newton has thrilled audiences with his singing as well as stage presence and his performance is one of the best Las Vegas shows for people of all ages. Once you are seated you will treated to a show like nothing you have seen or heard before in Las Vegas or around the world. The intimate surroundings of the Windows Showroom allow Newton to interact with the audience in a pleasant and surreal way. Newton’s newly revamped show is intended to give the audience an inside look at his professional career that has spanned over 50 years in Las Vegas and around the world. As Newton takes the stage the crowd is ready with superb accolades from a standing ovation to women crooning over him as he strolls to the microphone. The stage is set with several large screens which are used throughout the show as Newton describes working from a young child of 15 years old to his present day appearances. During the show he highlights several of his songs with a detailed story of how, when and why he decided to create, produce as well as sing a particular song. He begins with going over his career of working with people like Jack Benny, Lucille Ball, the Rat Pack and more. One song that is showcased is Daddy Don’t You Walk So Fast, which Newton explains why he walked out of a ten year contract with Capitol Records because they rejected him singing this song on an album that eventually sold more than 1 million copies. Another highlight of the performance is when he talks sincerely about a show he performed as a duo with the late Glen Campbell. When the video screen lights up with a taped version of the show, Newton tears up in a genuinely sincere way that is conveyed to the audience. Throughout his performance Newton interacts with the crowd answering questions with detailed explanations and he does not shy away from throwing a few kisses, hugs and flowers to the crooning women. Overall, if you thought Wayne Newton has seen better days than you should think again. When Newton belts out his signature song of Danke Schoen, the crowd goes wild because Mr. Las Vegas has not lost his touch or fabulous singing voice, which make his new show a must see event in Las Vegas. Wayne Newton or simply Mr. Las Vegas was born in Norfolk, Virginia and began performing in Las Vegas at the age of 15. He has performed more than 30,000 shows in Sin City since he first hit the Strip over five decades ago. Newton is famous for his personalized performances, his magnificent voice and his stage presence. Over his career he has worked with such notables as Bobby Darin, Danny Thomas, Jack Benny, Lucille Ball, Elvis and George Burns. Newton has been featured in several movies in television shows such as American Bandstand, Ocean’s Eleven and License to Kill. Newton is accompanied on stage by a full orchestra which is complimented by talented backup vocalists. 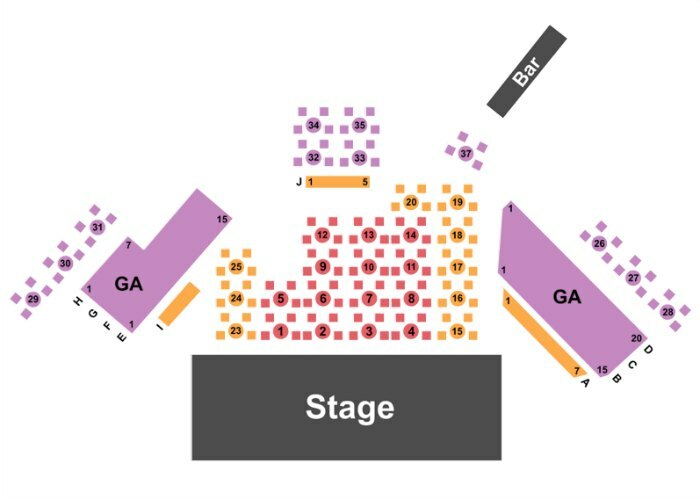 This seating map will give you an idea about the best seats for Wayne Newton's show in Las Vegas. Up Close and Personal is performing at the 240 seat intimate Windows Showroom. The showroom has perfect acoustics for all seats and sight lines are good even from general admission tickets which are located on the sides. Premium tickets and VIP offer the best view for guests looking to have a chance to interact with Wayne Newton during the performance. Wayne Newton: Up Close and Personal is playing at the Windows showroom within Bally’s Hotel and Casino. The 80-minute performance runs Monday through Wednesday starting at 8:00 P.M. There are no age restrictions for this family-friendly Las Vegas show. General admission and premium tickets are available. A meet and greet can be arranged with several of the VIP ticket packages which include dinner.